Kerrowdhoo Farm just north of Cranstal in Bride. 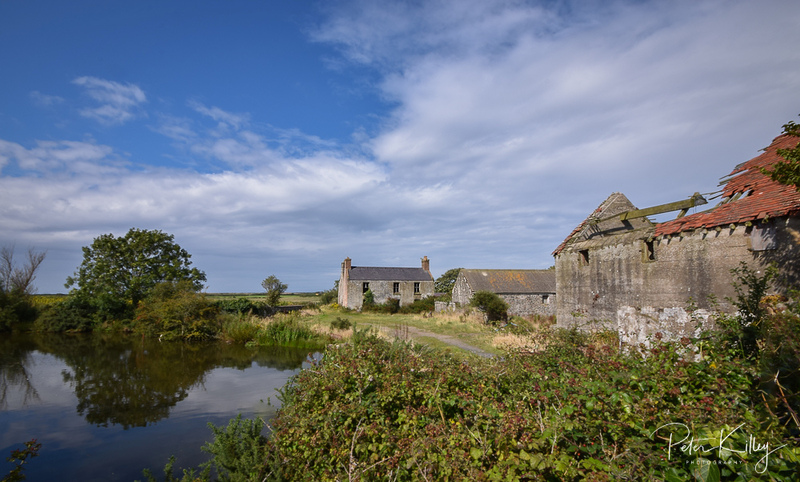 I just love this old derelict Manx farm which I am sure will soon disappear! As you can see my name is Edith Holt and I live in Ontario, Canada. John Lace of Trafalgar fame is my great great great grandfather – he was my grandmother’s great grandfather. Her maiden name was Ruth Anne Stephen of Ramsey and her mother’s maiden name was Anne Lace. The Lace family homestead was Kerrowdhoo Farm which is portrayed beautifully in this picture. I was wondering how I could purchase this. Our family is very proud of our Manx heritage as our grandparents told us – my brother and all our cousins – so many fascinating stories. She and my grandfather James Bolton Smith immigrated from the Isle of Man to Canada in 1906 but many of our family have visited the Isle of Man numerous times and fell in love with it and its people.